The update sees players collect Pacifiers to win prizes, as well as complete new quests. EA Mobile has updated The Simpsons: Tapped Out on mobile devices, introducing Maggie as a new unlockable character. Technically, this update is the third act in the game’s Winter 2015 event, but it leaves the Christmas-themed prizes and Merrymakers behind and instead focuses mainly on children-themed topics like day care. As part of this timed event, players will unlock Maggie as a new character, and can send her to complete specific tasks to earn Pacifiers, the event’s currency. Players can earn additional Pacifiers by tapping on the Bears walking around their streets, or those in their friends’ towns. This event features new quests to complete, and will see players construct new buildings including the Playdough Factory and Ayn Rand School for Tots in their towns. As players collect Pacifiers in bulk, they’ll also have the chance to receive prizes including Kearney’s Other Son, Mrs. Sinclair, the Wall E. Weasel’s building and Baby Gerald. Players have two weeks to collect Pacifiers and unlock these prizes. Finally, new themed items have been added to the game’s store for a limited time. These include a premium Slide Factory which generates Pacifiers over time, a Slide decoration (available for cash) and more. Gamers who missed out on the Stonecutter Daycare Center from a previous in-game event can also purchase this building using cash. 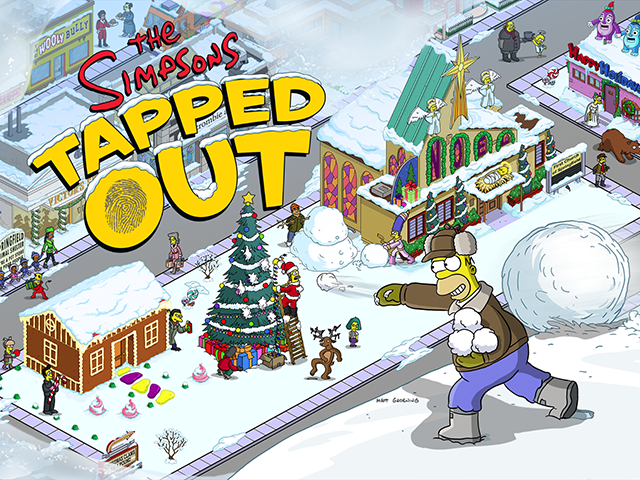 The Simpsons: Tapped Out is available to download for free on the iTunes App Store, Google Play and the Amazon Appstore.